Outstanding long lake view from this scottsdale model home. Enjoy amazing sunsets from the lanai with pool, spa and outdoor kitchen. Lanai faces sw for afternoon sun on the pool. Kitchen with lake view has granite counters, stainless appliances, stone backsplash. 3 bedrooms, den, 3 full bathrooms. Granite counters in bathrooms. Tile on the diagonal in the living area, carpet in bedrooms and wood floor in den. Upgraded fans throughout the home. Lighted tray ceiling in the great room. 3 car garage with epoxy flooring and storage closet. Pavers on the lanai and driveway. New water heater 6/18. Privacy bushes on both sides of the home. Very low hoa fees. Majors is a gated community. Catch snook, bass and bluegill in your own backyard. Players club and spa is a required membership that provides fitness center, 3 pools, 13 tennis courts, tiki bar, restaurant, and a full social calendar. Florida at it's best!! 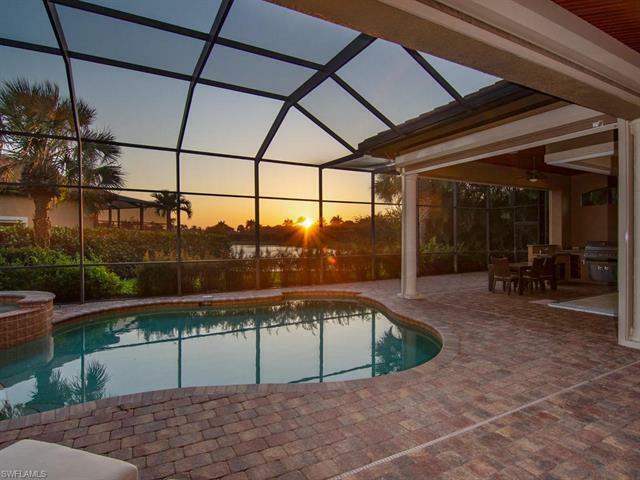 Large covered lanai with long water million dollar views await you in the double gated and prestigious majors community which offers the highest rental possibilities and one of the lowest maintenance fees in lely resort. The 2,572 square feet under air opens up to the large private screened lanai complete with pool and spa and is sold as seen furnished. Mechanical upgrades include a whole house vacuum and an lp gas tank has been installed for cooking and for the on demand tank-less water heater. Flooring in bedrooms have been replaced with wood flooring, so the whole home has hard floors. 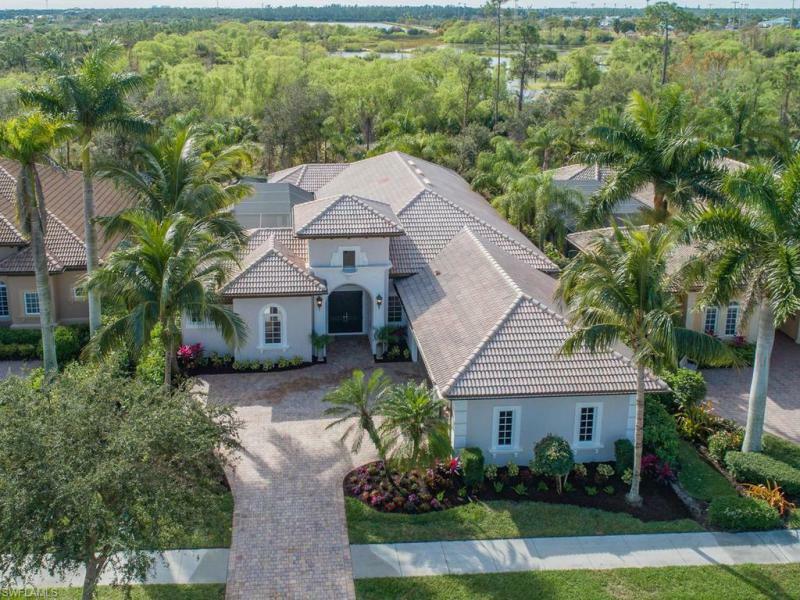 There are dramatic moldings, recessed/cove-lit ceilings, arched doorways/niches, plantation shutters, granite kitchen counters and back splash, stainless steel appliances, tile on the diagonal and recently replaced pool heater and pump. The highly renowned players club offers both resort and tennis facility and state of the art fitness center, billiards room, theater room, and full spa services. Lely resort also has the classics private course as well as the public flamingo and mustang courses. 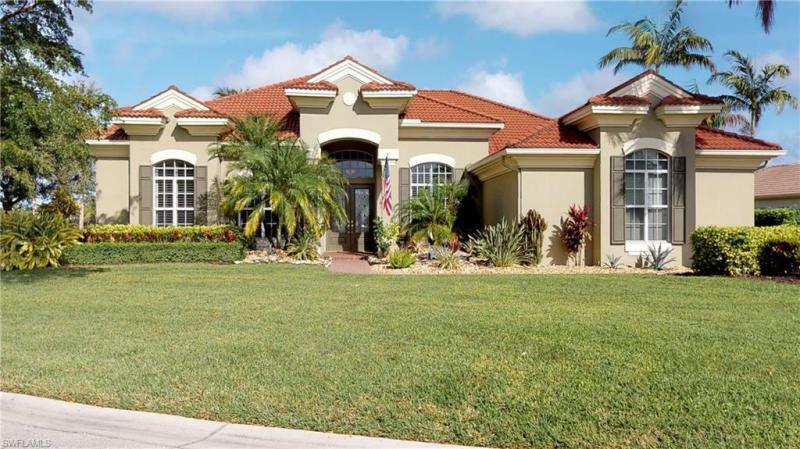 Lely is centrally located between naples and marco island beaches, 5th avenue restaurants and shopping.